As you haven’t heard from us, the structure team, since September we will give you a quick overview on the main things that changed until now. 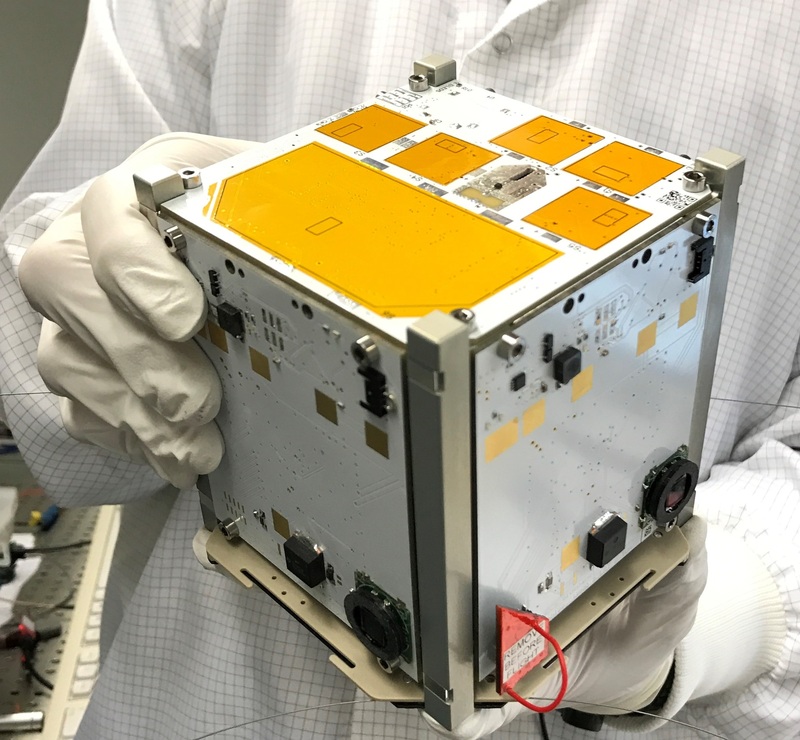 Beneath you can see our latest and final version of the satellite. 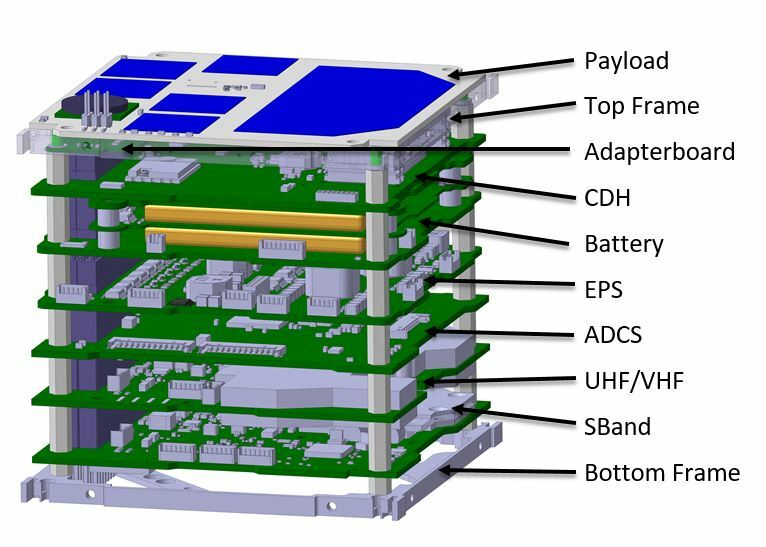 At the Critical Design Review (CDR) in the end of November 2016, we were able to get feedback from experts of the chair of astronautics (LRT) at TUM and the industry – we would really like to thank all those people for taking their time and helping us building a good satellite. 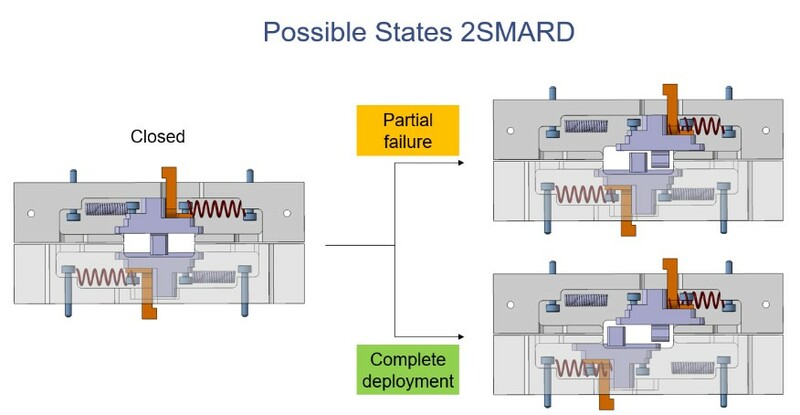 The main change we finally made was the new 2SMARD (former eSMARD). During the Preliminary Design Review (PDR) experts advised us to better replace all eSMARDs (on each side of the satellite and at the bottom) by one redundant mechanism at the bottom releasing the four panels through the antenna deployment mechanism (ADM) (for more details on the eSMARD see our blogpost http://www.move2space.de/MOVE-II/weekly-update-7-a-less-destructive-approach/). We invested a lot of time in this new concept but were able to design something we are all happy with. The new 2SMARD consists of two halves, one mounted on the ADM (appendage half), the other on the bottom frame (body half). 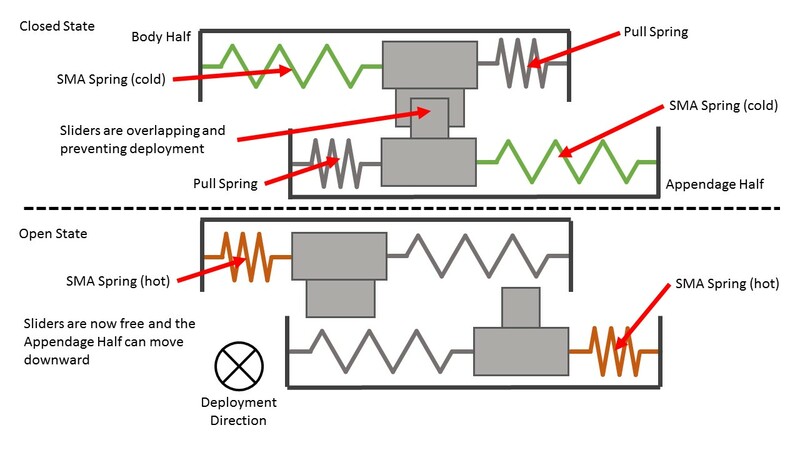 Each half works like the slider part of the former eSMARD but now both sides can be moved by a shape memory alloy (SMA) spring which tightens when activated by current. In closed condition both sliders overlap each other holding the ADM up, but the big advantage of this concept is that we are able to deploy even if only one half moves and the other one is broken. After the 2SMARD is correctly deployed the ADM moves down, releasing the flappanels and therefore enable the pre-stressed coiled antennas to unroll. Because of this we had to make some other changes on the flappanel and the ADM as you may see in the picture on top. Luckily one of our team members has his own 3D printer at home which allowed us a comfortable way of rapid prototyping, espacially with the roll up mechanism of the antennas as they should not tangle under heavy load. We are currently working on this aspect with different antenna types (wire and strip). Our ongoing tasks in the next months will be to put everything through their paces, which especially means the deployment of the 2SMARD, ADM, flappanels, antennas and deployment springs (which will activate the satellite in the first place after launch) under normal condition, but also after a shaker test or in the thermal vacuum chamber (TVAC) and making sure we fulfil all the requirements in the CDS.